On some YouTube videos, particularly highly downvoted ones, I often see comments asserting that their dislikes on the video are being deleted, either by YouTube or the channel itself. Fake dislike count: 761k of dislikes.. Real (but censored) dislikes count: 2.6M of dislikes.. Fake likes, and removing dislikes. I will Never buy Gillette again, i hope they go out of business. I disliked the video. But, it is automatically getting undisliked. YouTube is being dishonest. Without YouTube's cloak of censorship, this video would have about 3 million dislikes. Anyone else noticing that the downvotes are diminishing? As I write, the downvotes are 138,153—yet when I first saw this video a few minutes ago, they were at +140,000 downvotes. Is Susan Wojcicki massaging the numbers at Gillette's urging? Inquiring minds want to know. What can be done to stop YouTube's moderators from deleting another 3 MILLION dislikes and another 3 MILLION comments they don't agree with for political reasons from this video? Don’t be dumb... youtube caches dislikes so that there main servers don’t get pounded with millions of people doing this. Dislike once and wait maybe a hour and check later, it will be there. Bottom line: when there's a lot of automated activity, Google comes in every now and then and scrubs the data of anything that looks suspect. Not shockingly (given that 4chan has been heavily involved in the uproar) there are a lot of bots involved in this process. 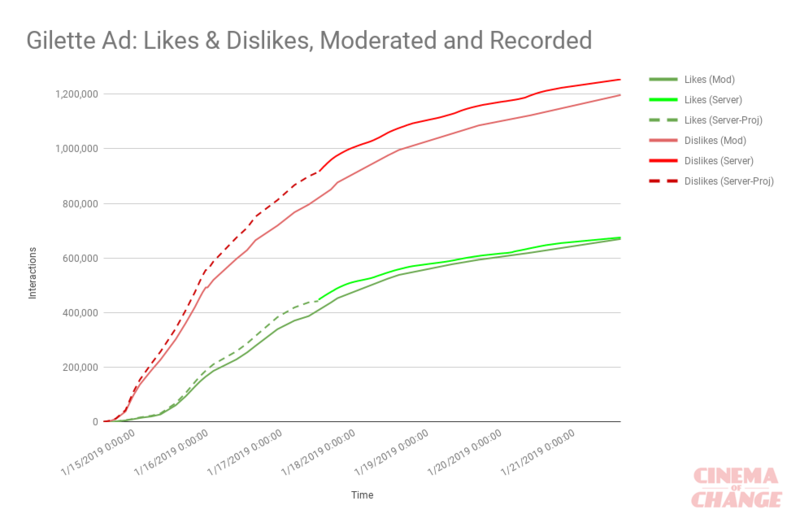 People are saying maybe they cleared bots but why didn't the likes go down either, at least by SOME amount. Yes, they do. They will also delete likes. However, the comments quoted and the general complaints on that video about dislikes going away are based on the claim that Gillette is either paying YouTube to delete dislikes, or that Gillette is doing it, itself. One reason why YouTube deletes some likes and dislikes is because people often use likes, dislikes, followers, etc on social media to boost their own agendas or careers, so faking or manipulating popularity or unpopularity is pretty common. 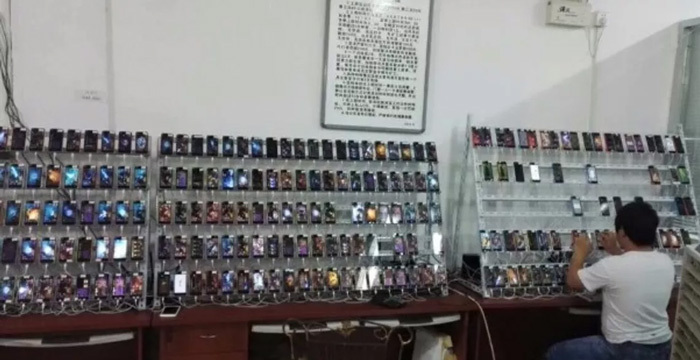 To this end, there are business set up with individuals manning banks of devices so a person can deliver hundreds of "clicks" for a paying customer, low tech, or can set up automated programs/bots to simulate activity from different users, for the same result. An undercover operation in which individuals fraudulently interact with a website to artificially boost the status of a client’s website, product or service. This basically means that somewhere in the world there are people that work behind closed doors fraudulently promoting other peoples products and services for a fee. Since the definition is fairly broad, this means that the fraudulent activity can take place on almost any platform although the most popular ones are Facebook and Instagram. It doesn’t matter if the group is selling Facebook likes of Twitter followers, they’re all classed as click farms. It is in the interest of social media platforms to identify this kind of fraudulent manipulation to maintain their own integrity. So in this case, where people who don't like Gillette's ads are seeing nefarious manipulation by either Gillette, or YouTube as a paid proxy for Gillette, really it's the opposite - they are rooting out and screening nefarious and fraudulent activity that they identify. You may see like/dislike counts change as some may be marked invalid and periodically removed from the counts. Learn more about our Likes Policy. Anything that artificially increases the number of views, likes, comments, or other metric either through the use of automatic systems or by serving up videos to unsuspecting viewers, is against our terms. Additionally, content that solely exists to incentivize viewers for engagement (views, likes, comments, etc) is prohibited. Yes, YouTube moderators can delete Likes and Dislikes. Cinema of Change tracked the responses to the Gillette video over a short period. 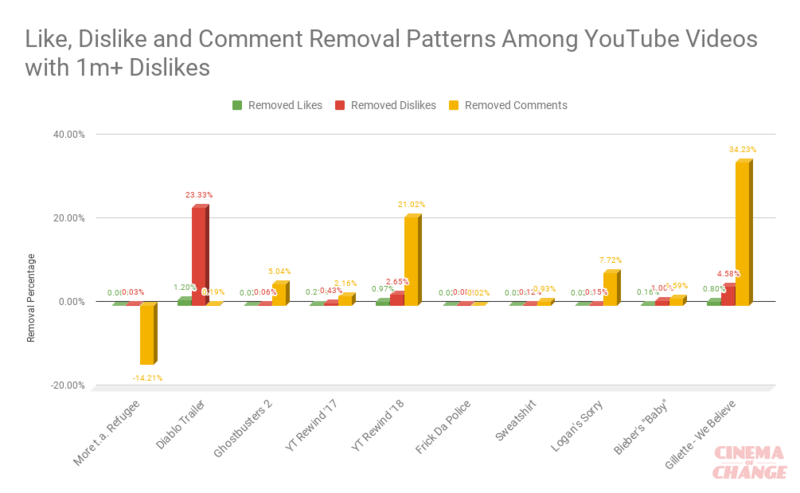 With the help of YouTube’s API and Archive.fo’s screenshots of the video’s public numbers, we were able to test the claims of whether Gillette’s dislike and comment count were being subject to unusual moderator deletion. Some of the figures that were mentioned in the claim in the question are exaggerated / not verifiable. Given YouTube control the stats behind the scenes, they can hypothetically do anything on likes/dislikes (similar to the 301 views cap). As for why it might be occurring, one can only speculate just short of an internal leak. Not the answer you're looking for? Browse other questions tagged internet social-media google . Does social media have measurable impacts on our brain? Did the Pakistan government accidentally cause YouTube to become unusable in 2008? Does speedtest.net give an unbiased answer? Does YouTube send every video to every subscription inbox?